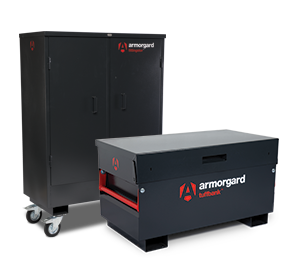 Armorgard has provided market-leading solutions to the construction industry for over 30 years. Our innovative, design-led products improve safety, security and productivity for a wide range of contractors. Whilst most of our products are useful for all areas of construction, we provide ranges that are particularly helpful for specialist areas such as rail, landscaping, vehicle fit-out and building fit-out. The rail industry is one of the most safety focused industries in the UK. Our solutions protect workers and members of the public, reduce theft of tools and materials and help to protect the environment. We’ve developed a wide range of specialist solutions to protect valuable landscaping and gardening tools and equipment when stored on site, on your premises or in the back of your truck or van. The most comprehensive, robust and reliable tool and equipment storage collection on the market, a range of products that increase productivity and efficiency on site, as well as enhancing worker safety. We provide the most comprehensive, robust and reliable secure tool storage range for vans on the market. Solutions for all sizes of vans and budgets.